Prawns With Tomato is a very popular recipe. 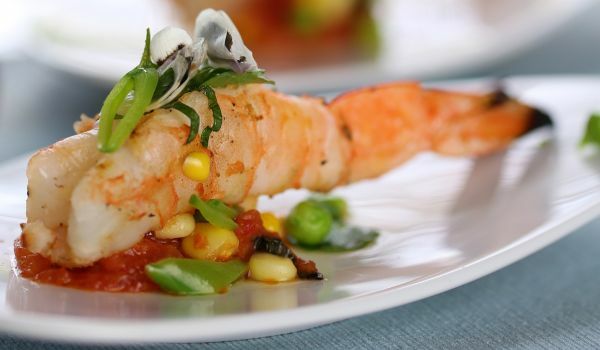 Learn how to make/prepare Prawns With Tomato by following this easy recipe. Mix prawns, red chilly powder, turmeric powder, little water, and salt together in a large bowl. Marinate in the fridge for 30 minutes. Heat little oil in a pan and gently fry the prawns. Remove and keep aside. Heat 2 tbsp of oil in the same pan and fry ginger and garlic for a minute. Stir in green chilies, curry leaves, and onions. Fry until the onions turn brown. Add in kashmiri chilly powder, tomatoes, and fried prawns. Cover and cook for 10 minutes on low flame.